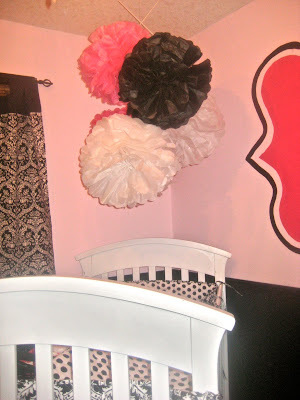 This DIY baby mobile was so easy. I just took two skewer sticks and spray painted them white. 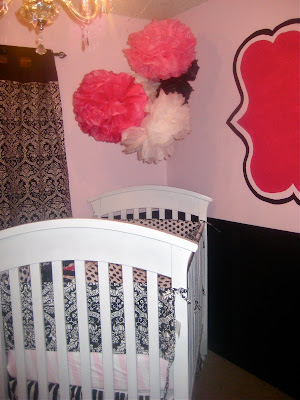 I tied them together with fishing line, hung the poms off the x and then screwed in a wall hook. - I love the excited feeling it brings to the room.